Discussion in 'Computers' started by Mike Frezon, Sep 17, 2017. In the "What annoys you?" thread elsewhere on the forum a consistent topic of conversation is each member's frustration with their internet browser. I am fascinated by the discussion. Personally, as a creature of habit I tend to stick with the same software as long as I can. But my recent opinions of Firefox have not been very good. Recently there have been LOTS of updates and some of those updates have wreaked havoc with things. I even have an extension called "Classic Theme Restorer" to make Firefox look like it did several iterations ago (in terms of tabs, etc.). So one of the things that amazed me was that browsers aren't just Edge, Firefox, Chrome and IE. Members have been posting with names of browsers I have never heard. I thought it might be very useful (being as the HTF is an internet site) to open up a dedicated discussion about member's experiences with various browsers--and maybe even especially how those browsers function with the Home Theater Forum. I looked at the icedragon comodo browser earlier this evening. I was using Firefox with noscript, ublock, https everywhere, privacy badger, and something which deleted cookies after finishing a page/tab. With the Firefox changeover to webextensions, the extensions are currently a mess. For example, recent updates of ublock are not quite working properly and eats up considerably more cpu time. I tried running a recent nightly build of Firefox, where the old extensions wouldn't run at all except for privacy badger. It also appears Firefox might also be taking a cue from chromium, where Firefox nightly is spawning off many processes. I always keep the newest versions of Fox and Chrome, and tend to use Chrome most just because its speedier to me loading pages. Subjectively, I thought Chrome seemed to be faster at loading pages and dealing with videos, than Firefox. Though I never really quite trusted google being behind Chrome. So I've been looking at less popular browsers based on chromium such as Brave, etc ... At this time, what I like about Brave is the subjective faster speed and how it incorporates some of the main features from noscript, ads/tracking blocking, httpseverywhere, etc ... built in straight out of the box. Though not quite ready for prime time yet. Back in the day (circa 2000s era), I really like Opera when it was using the original "Presto" engine. When they dropped Presto, I thought it went to crap. I kept an old copy of the last version of Opera with Presto, and kept on using for many years until it just got too slow. (I even used an opera plugin which replicated the functionality of noscript). I'm in the same camp as Dave. On my Mac, I use Safari with Ghostery. On my iPhone, I use mobile Safari with 1Blocker. Both are as fast and efficient as I need them to be and desktop Safari plays well with 1Password. I'm using Opera right now because it has a "Speed Dial" feature, where you can put dial buttons to the sites you use a lot. I currently run Firefox portable v53.0.2 32bit. I tried to upgrade to the latest build and it failed so I downloaded the latest portable apps build of FF 64bit but quite a few plugins broke and several "sites" (internal domain) I use to manage systems didn't work right with that build so I backed out. I fear many of the plugins I use to keep FF looking "right" and working the way I want will be going away once they get the new plugin model working properly. Should that happen I'll likely be ditching it for something else. I've tried Pale Moon some, just not daily. I like the way it looks and behaves. It's pretty much Firefox before they started to make it look/feel/behave like Chrome (I don't get that trend - if I wanted Chrome I'd use Chrome). You don't need several plugins to make it look "right." I updated it this morning and will probably give it a few days trial later this week. 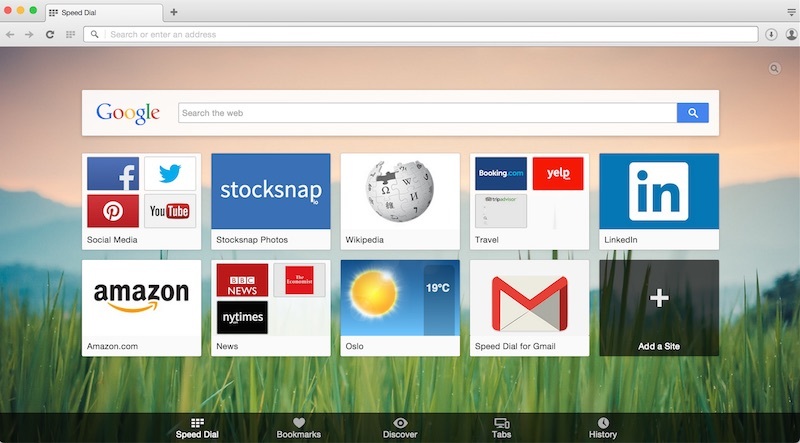 I tried both Opera and Vivaldi but didn't like much of the interfaces and very much disliked the limited configuration options. They felt just as locked down as Chrome. I don't recall any better operation/speed but honestly didn't use either longer than a half hour or so. Essentially, once I found I couldn't customize them I dumped them. Much like the "improved" FF builds - if I wanted things to look and run like Chrome I'd just run Chrome. Based on comments in the "annoyances" thread I downloaded Comodo IceDragon this morning. I installed it in "portable" mode (I prefer that for all my browsers as it keeps everything together and makes running it on several different systems dead easy). After the first start and noticing it looks exactly like FF I took a look at the directory structure. I simply copied my FF profile, settings, and plugins folders to IceDragon and had it up, and configured the way I like, in under 30 seconds as everything worked. I'm using it right now just to see if I notice any difference between it and FF. All my management sites work, my settings transferred properly, and I've not yet noticed any issues. Like FF, if a page is loading slowly or rendering some JAVA crap, the rest of the browser "hangs" until that's resolved. If they'd ever move to a mode where each tab is its own instance that'd go away. Yes, I know Chrome does this but I do not trust Google. Period. I do use Chrome on a couple of work systems for its "Chrome Remote Desktop" function. However, this is reserved for those few instances where I need to work from home (very rare) or am out of town on a business trip (once or twice a year) and may need to access a local system for some reason. I've gotten to where I just throw up a virtual machine with Chrome for those instances. Since I manage the virtual farm I can just bring up one there rather than put one on my main desktop. That way I don't have to worry about someone shutting off my computer as the virtual farm is on a generator in case of power outages and should never be down. I use IE for a few sites at work that just do not work in anything but. They are required sites for things I do and manage. I'd change it if I could but it's outside my control. I tried Edge a few times. I don't like it. At all. I have made many configuration changes to FF. I've disabled the "Awesome" bar (it's not so "awesome" and more like awful!) with a plugin, made tabs run below the URL bar (with a plugin), moved the search drop down to its proper location, and more. In the spoiler are changes I've made. Visit about:config, find the preference named "browser.urlbar.unifiedcomplete" and change its value to "false"
Turn off the web search in the address bar. Note: This preference does not affect smart keyword searches from the Location Bar. In the Location bar, type about:config and press EnterReturn. In the FilterSearch field, type keyword.enabled. Disable Hello, toggle loop.enabled to false on the about:config page. You’ll really want to set ‘media.peerconnection.enabled’ to false too. This will plug the webrtc leak vulnerabilities in firefox which have been sitting comfy in your browser since 2013. The entry "browser.tabs.animate" would be set to true. Double-click on it or right-click on it and select "Toggle". It'll set its value to false. Now whenever you open a new tab, you'll not see the new animation and you'll notice that now tabs opens or closes instantly without any delay caused by animation. Type about:config in the browser's address bar and hit the enter-key afterwards. Double-click on the preference to toggle its state from true to false. This disables Pocket in Firefox and the icon should be gone once you restart the browser. There are two workarounds available that help you deal with the issue. You can set the preference browser.download.panel.removeFinishedDownloads to true to remove the download right after it has finished in the interface. This triggers the closing of the download panel icon in the toolbar as well. What this does though is reduce the use of the download panel, as you can't use it to open a file or folder right after you have downloaded it anymore. The second option is to switch back to the old download manager window. For that, you need to set the browser.download.useToolkitUI preference to false. This restores the browser's original download window so that the download icon in the toolbar is no longer displayed. This applies to versions 47 and up. When you restart Firefox and restore your previous session, Firefox will wait until you select a tab before loading it. According to Mozilla "This keeps Firefox running quickly and smoothly." If you've allowed an earlier version of Firefox to simultaneously load multiple tabs in the background (offered as the "Don’t load tabs until selected" check box in the PreferencesOptions menu), when you upgrade to version 47 and up, your setting will reset to allow only one tab at a time. You can change it back through your about:config preferences. Close the about:config tab to save your changes. Search for the preference network.http.speculative-parallel-limit. More URL fixes for stupid dev. changes!!! As a general criteria, I always run web browsers and mailreaders inside a sandbox. (For example, such as sandboxie on ms windows). Easy to delete all the garbage accumulated by the browser's temporary files, after I'm finished websurfing. If I was more paranoia, I would be running windows10 inside a virtual machine on a unix-like operating system such as Linux or one of the BSDs (ie. freebsd, openbsd, etc ...). With web browsers running inside a sandbox, I'm at the point where I don't really have to use programs like CCleaner anymore to clean up remnants of the browser's temporary files. (Easy to just delete the sandboxed crap all at once). Recently CCleaner was found to be propagating some hard-to-detect malware, which appeared to be expertly + covertly done. I've been gradually moving on to programs like BleachBit to perform selective removal of excess crap left behind by non-browser programs. What's a "dial button"? How's it different from favorites shortcuts / bookmarks that all browsers offer? In more recent times, I've been gradually using bookmarks less and less in browsers. It seems like in some browsers, the more bookmarks I have, the slower it becomes. Once I delete most or all of the bookmarks, it becomes less sluggish. I've been going back to keeping links in a generic text file on the desktop. Basically copying and pasting links from a text file to the url bar. It's their fancy name for having 9 favorite sites (more if you customize it some) appear in boxes on the page when you open a new tab (you can also "nest" them like on a "smartphone" menu/screen). That's a "feature" I very much dislike and fully disable on every browser I use. But I also start my daily session with ~20 tabs and typically have 10+ open at once. I use bookmarks and the favorite bar (another annoyance when developers feel the need to turn it off in favor of their "new tab page of page visits you've made"). IceDragon worked pretty well yesterday. I tried Pale Moon a bit this morning but it looked odd, didn't let me put some things where they "need" to be (NoScript on the bottom bar was one thing I couldn't solve quickly enough) and I couldn't get Apple's "reset your password" site to work properly and open the requisite new tab (I had a user who couldn't remember her iTunes password and I needed it to reset a device - what a pain - both that type of end user and Apple products). GMail also froze a couple of times. I gave up and went back to IceDragon for day 2 testing. So far, it's been working properly. Used to use Firefox till it got too slow and bloated with crapware. Now use Chrome. Chrome for me. Fast, smooth, well thought out. I can also access all my desktop pc bookmarks on my phone, which is fantastic. It's their fancy name for having 9 favorite sites (more if you customize it some) appear in boxes on the page when you open a new tab (you can also "nest" them like on a "smartphone" menu/screen). That's a "feature" I very much dislike and fully disable on every browser I use. But I also start my daily session with ~20 tabs and typically have 10+ open at once. I think they used to be called "radio buttons" as they worked like radio buttons on old car radios. Mozilla for the ad blocking and FB Purifier, as well as for other cool add-ons.